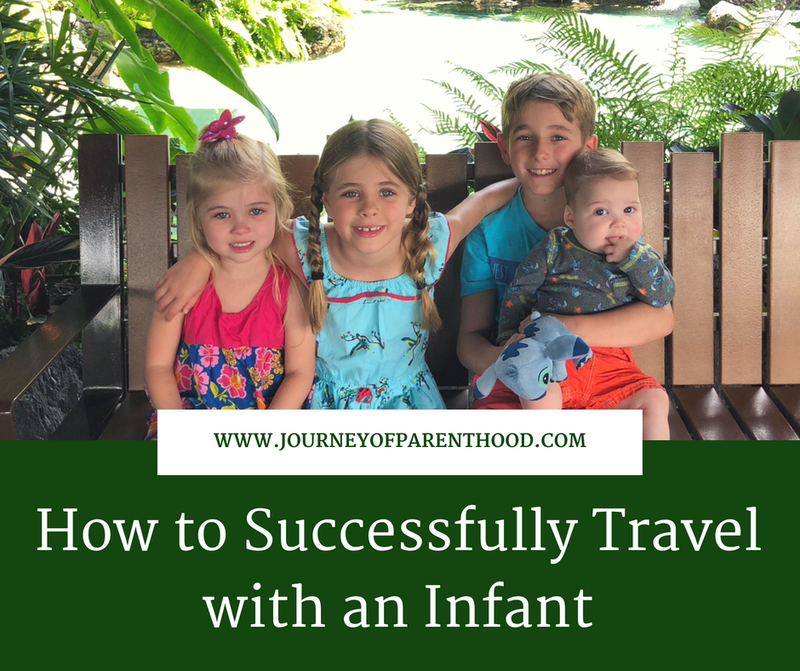 Traveling with an infant is not always easy, but it is possible and it is worth it! 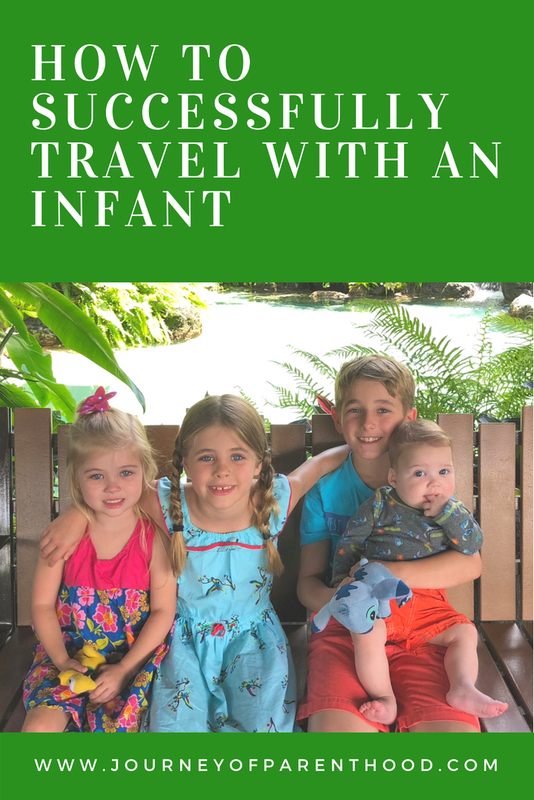 We have traveled with ALL of our babies at young ages and have seen many benefits of starting to travel with them while they are young (they are all excellent travelers!). It’s important not to expect too much out of your baby. Sticking closer to home makes travel smoother. Our ideal distance is 2 hours because that’s the exact length of nap time and allows baby to sleep in the car the entire way! We have traveled up to 4 hours away with a baby and just take a break at the feeding time to change diaper, feed, and have some awake time before getting back in the car. Think through your travel plans. If you’ll be in the car for several hours, consider what times would be ideal for your baby. For example if we have a two hour drive we will leave at the start of nap time so that way baby will sleep majority of the drive. It’s also important to be mindful about time zones. 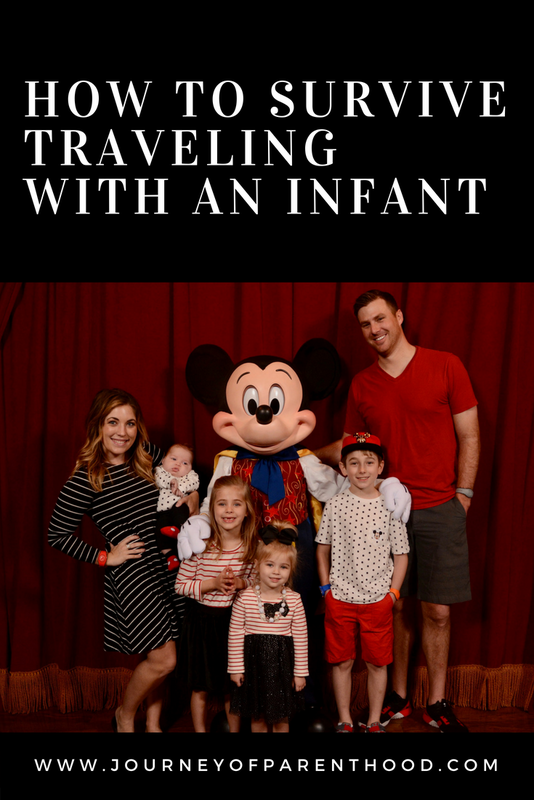 When we have changed time zones while traveling with our baby, we have chosen to stay on our home time zone (it was only an hour off) this way things flowed smoother with keeping to our regular schedule. When you think about traveling a short distance from home, you think “oh quick trip!” But with a baby it’s best to have at least three nights away. That way you are spacing out your travel days, you have a full day of no traveling, and it allows the baby time to adjust to new sleep conditions. Usually the first couple of naps and/or first night can be tough for the baby to settle in and sleep well, so giving that longer amount of time allows the baby to fully adjust and be able to get the sleep they need to be pleasant and enjoyable on your trip! The goal for traveling with a baby is to keep their lives as close to life at home as possible. If you use black out curtains at home, be sure to bring something to cover the windows and keep their room dark. If you use a sound machine, make sure you bring it with you. Keep things as routine as possible and it allows for the baby to easily transition from home to the new location! Yes, it means we do less when we have our baby with us. But doing less means we’re also able to fully enjoy the things we do because we revolve trip plans around the baby’s schedule as much as possible. Personally I aim to only ever skip one nap a day while vacationing and even then we try to have plans work out where baby can nap in their car seat or stroller or even in our arms if it works out! Depending on your baby you will know which nap is the best to skip and which ones are the most important to them to keep. So much of a trip going well with a baby depends on where you stay! If a hotel room I always call ahead and figure out where a pack and play can fit. Ideally we prefer for our baby to sleep in a bathroom or large closet rather than share a sleep space with us as it allows their sleep area to be darker and more quiet and allows us to enjoy nap time as quality together time. It’s also important to consider the location where you are staying. If you’re going to the beach, you want to be as close to the actual beach as possible. Staying close to the areas you plan to visit allows you to maximize the baby’s awake time to be able to enjoy the trip experiences and minimizes time they have to spend in the car driving from your hotel/condo/etc to the trip experience. While I love making experiences as an entire family, I also think it’s often equally valuable to know when it’s best to leave baby at home. We are blessed with family who love a chance to have quality time with our children so when a trip is better suited for just my husband and I or just our older kids we will leave the baby at home. If the trip is further away, for a shorter time, involves a lot of activities, or is just a situation where it’d be more of a headache and hassle than a joy for the baby to come then leave them! I know that’s hard for many mamas but I always remind myself that the baby will NEVER remember the time away from me, the baby will be better off at home on their regular routine, and the rest of our family benefits from quality time together especially during a season of life that mostly does revolve around the baby each and everyday! 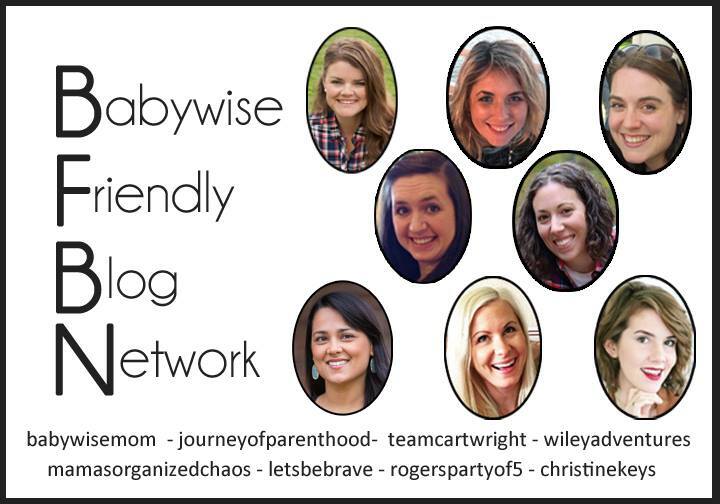 Want to keep up with all of our family travels and adventures? Be sure to follow me on Instagram!